Add the brown bits and juices from your roasted beast into the sauce and bring to a boil. Then whisk this into the sauce, simmer until smooth and slightly thickened, about 2 minutes. Season to taste with salt and pepper. Place the pepitas in a saute pan over medium heat. Toss for about 3-4 min, until you hear them popping. Combine the cumin, coriander and the garlic powder. Set aside. Once you hear the seeds popping, add the liquid aminos over the entire pan and toss to coat. Immediately add the dry mixture, continue to toss to evenly coat. Once they are all coated (1-2 minutes), pour onto a sheet pan and allow to cool or into a dish and serve hot! NOTE: The warmth comes from the amount of grated ginger. Combine the ingredients in a blender, grating in the ginger last. This is a wet dough that makes a light, crisp crust. Under-working the dough will give you the best crust, over working it will give you a tough and dry crust. Can be frozen. Place the whole-wheat flour, AP Flour, yeast, salt and sugar in a mixer fitted with a dough hook. While the mixer is running, gradually add the oil and the water. Flour the surface of two sheet pans placing two balls on each, covering with a damp towel. Let them rise in a warm spot until they have doubled in bulk, about 2 hours. Roll out the dough on a floured surface. Press down in the center with the tips of your fingers, spreading the dough with your hands. Heat oven to 400. Add pizza stone. Once the dough is on the paddle, add your favorite toppings and slide it onto the pizza stone. After 7-10 minutes, lift and check the underside of the pizza. It should be golden brown and crispy and the toppings should appear cooked. Remove with the paddle to a cutting board. Allow for it to cool for 2-3 minutes and then cut. Mix all the ingredients together, add the fish for 30 minutes. Combine hydrated chia seeds with the milks, honey, vanilla extract and puree. Allow to sit for 2 hours or overnight. Add diced fruit and puree, mix together. Adjust to taste and to desired consistency with milk or water. *Use equal parts fine and coarse polenta for extra-creamy results. Bring 3-4 cups of the water or broth to a boil in a medium sauce pot. In another bowl, add polenta the remaining broth and salt, whisking together. Pour the polenta, slowly, into the boiling broth, whisking constantly to avoid lumps. Reduce heat to medium and cook, whisking until polenta is creamy and pulls away from the sides of the pot, about 10-12 minutes. Scrape avocado flesh into a blender along with the orange zest and segments. Peel and shred the carrots, add liquid of choice, honey and ice. 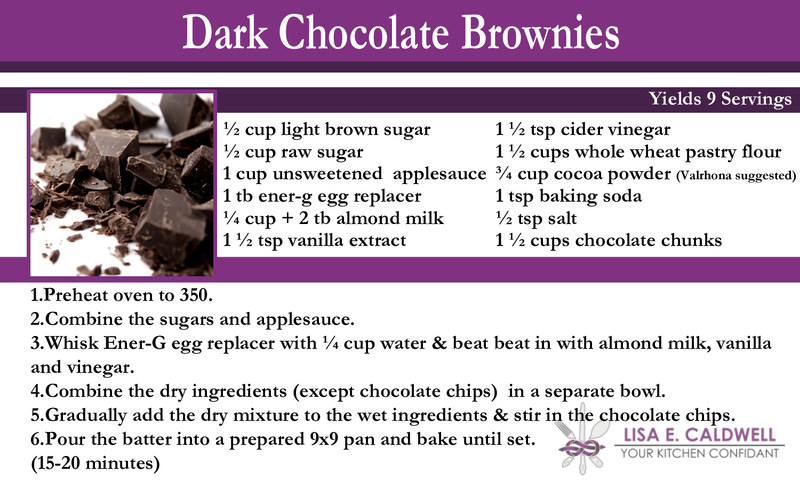 *Option - mini chocolate chips, cocoa powder (½ cup) and any nut butter that you prefer. In a food processor or blender, grind oats into a flour consistency; transfer to a large bowl and set aside. Add remaining ingredients, except the fruit preserves to the bowl with oats, kneading together to make a dough. Roll dough into balls, transferring them to a parchment paper-lined sheet tray when done. Make an indentation in the middle of each cookie by pressing down with your thumb. Spoon a bit of fruit preserves into each indentation and chill for at least 1 hour before serving. In a large skillet over medium-high heat, add onion and cook for about 4 minutes or until onion is translucent. Add in 1 cup of the broth and continue cooking. Stir in mushrooms, rosemary and thyme and continue to cook about 3 minutes or until mushrooms release their liquid and start to become tender. Add wine and cook 2-3 minutes, stirring constantly. Stir in 2 cups broth and bring to a simmer. Meanwhile, in a small bowl, whisk together remaining broth, tamari, yeast and flour to form a thick paste. Add mixture to skillet, along with the garlic, whisking constantly to make sure paste dissolves. Bring to a boil for 2-3 minutes, stirring constantly. Combine the ground oats, coconut, hemp seeds, cinnamon, cocoa powder and salt in a blender. Blend into a fine powder and transfer into a bowl. Chop the chocolate chunks and combine with the dry ingredients. In the blender, puree the dates and the water into a fine paste. Pour the date paste into the dry ingredients and add the nut butter. Combine the wet and the dry together with your hands. Roll into small balls and press your thumb into the center, creating a well for jam or press flat into a pan (lined with plastic or parchment paper) and cut into squares. Chill to set. 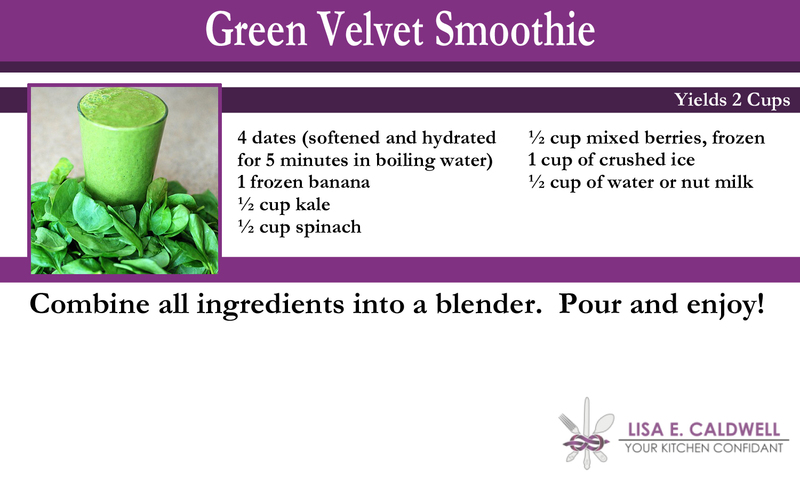 Combine all ingredients into a blender. Pour and enjoy! 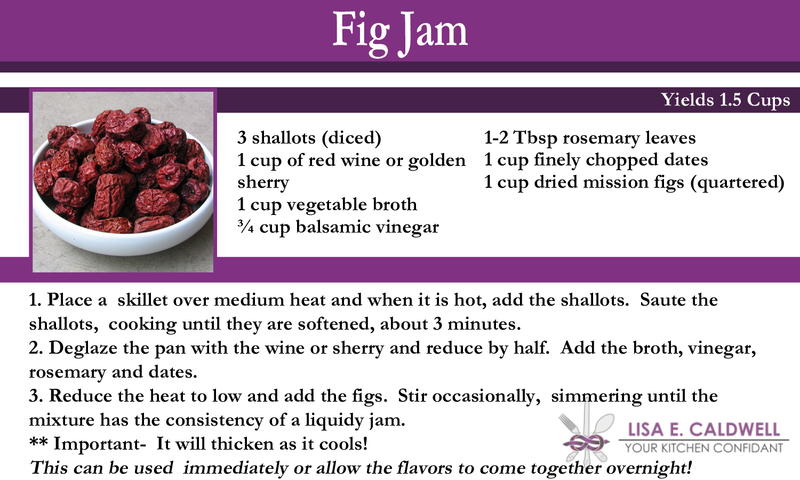 This is more like a dried fruit preserve than a true jam. Use it on pizza, accompany crackers and cheese, or a spread for a ham sandwich. Place a skillet over medium heat and when it is hot, add the shallots. Saute the shallots, cooking until they are softened, about 3 minutes. Deglaze the pan with the wine or sherry and reduce by half. Add the broth, vinegar, rosemary and dates. *This can be used immediately or allow the flavors to come together overnight! Remove tuna from the refrigerator and season with salt on both sides. Combine all the ingredients in bowl with a whisk. Once you have adjusted the marinade to your taste, add the tuna steaks and marinate for 2-4 hours. Preheat grill to medium, turn to low just before placing the tuna on the grill. Spray both sides of marinated fish liberally, as well as the grill. Grill the fish (without moving) until grill marks form (approx 1 min) and bottom surface is opaque, about 1 ½ minutes. Carefully flip, cooking until grill marks form on second side. For Baked Tuna: Preheat oven to 350 and place the marinated tuna in a sprayed casserole dish. Place in oven for 10-15 minutes. Curry powder conspires here with the cauliflower to produce a full-flavored blended soup that's creamy on the palate without including any actual cream. Perfect for the dairy-free crowd! Taste and adjust seasoning with more curry powder if you like. * If you find the texture to be grainy, work the puree through a double meshed strainer. --If you don’t like mushrooms, you will now! In a mixing bowl, combine the garlic, cumin, chili powder, black powder, vinegar and tamari. Immerse the mushrooms completely in the marinade for 10 to 15 minutes. Place the mushroom caps button side down on a baking dish. Brush marinade onto the mushrooms. Broil for 5 to 7 minutes, until the mushrooms looked baked (slightly wilted). Serve warm, or allow to cool to room temperature. *You can store the remaining marinade in the refrigerator for 2-3 weeks. Perfect for red meat, chicken, tofu or other vegetables. Combine the sugars and applesauce. Whisk Ener-G egg replacer with ¼ cup water & beat beat in with almond milk, vanilla and vinegar. Combine the dry ingredients (except chocolate chips) in a separate bowl. Gradually add the dry mixture to the wet ingredients & stir in the chocolate chips.